A unique opportunity to be one at the first ones to see new collection of 9 Imperial Faberge Easter Eggs with 1000 other Faberge creations. This half-day tour program is a dream-come-true for any person, who has some earlier knowledge of the saga of the world famous Imperial Easter Eggs, the history, reputation and the production of the former Faberge jewelry shop in St. Petersburg. 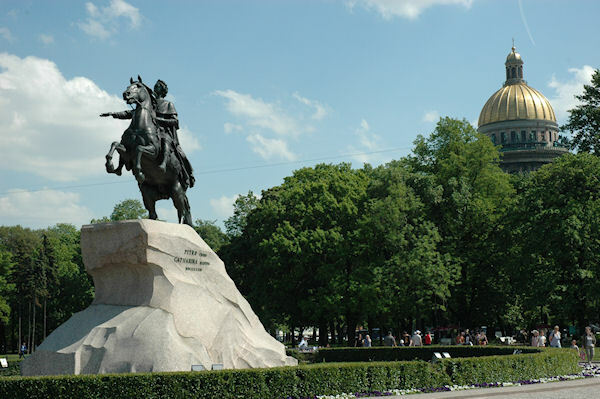 This tour is always operated on the second morning of your ship's arrival in St. Petersburg. On the way to the Faberge Museum your tour guide will point out the major sites on the route, and the city traffic permitting, it is our intention to have different routing for different directions - An inside visit to the Faberge Museum. After the guided tour of the Shuvalov Palace Treasures and Faberge museum you will walk by Nevski prospect to Yeliseev Delicatessen shop for brief visit, city drive by Italyanskaya Street to Onegin Souvenir shop. Photo Stops: Ostrovskogo Square with Catherine the Great monument and Alexandrinsky theatre, Art's Square with Russian Museum, Synagogue, St. Nickolas Cathedral. You do not need a separate Russian visa to take this tour from your ship. Our tour operator is authorized by the Russian Ministry of Foreign Affairs to arrange services for cruise passengers who do not have Russian visas. In order to guarantee visa-free participation in this tour, we need to receive a Tour Authorization Certificate for you and each person in your traveling party. We must request this Tour Authorization Certificate from our operator no later than two (2) weeks prior to your sail date. We will email you your excursion tour voucher for your traveling party, and one tour authorization certificate for each member of your traveling party. It will be your responsibility to print and carry with you 1) the tour voucher, 2) the Tour Authorization Certificate, one for each person traveling with you, and 3) a valid passport for each person in your party. These documents will be required to participate in your St. Petersburg excursion. Failure to have these documents to present to Russian immigration officials and your excursion leader may result in you not being allowed off the ship in St. Petersburg, and may not entitle you to a refund. Please refer to the full terms and conditions listed on our website. After you clear immigrations at the Cruise pier.